With the internal stability of the country assured, Senusret III was able to concentrate on foreign policy. He initiated a series of devastating campaigns in Nubia quite early in his reign, aimed at securing Egypt's southern borders against incursions from her bellicose neighbours and at safeguarding access to trade routes and to the mineral resources of Nubia. To facilitate the rapid and ready access of his fleets he had a bypass canal cut around the First Cataract at Aswan. A canal had existed here in the Old Kingdom, but Senusret III cleared, broadened and deepened it, repairing it again in Year 8 of his reign, according to an inscription. 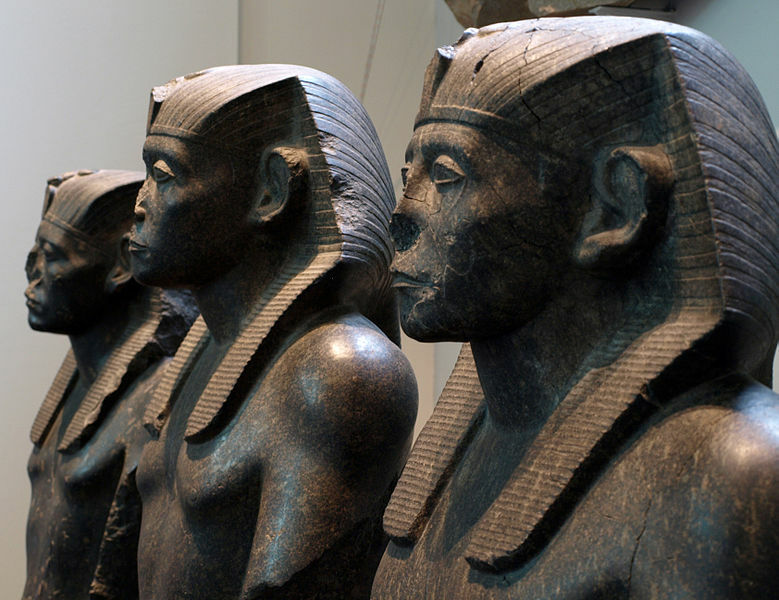 Senusret was forced to bring the Nubians into line on several occasions, in Years 12 and 15 of his reign, and he was clearly proud of his military prowess in subduing the recalcitrant tribes. A great stele at Semna (now in Berlin) records, 'I carried off their women, I carried off their subjects, went forth to their wells, smote their bulls: I reaped their grain, and set fire thereto'. He pushed Egypt's boundary further south than any of his forebears and left an admonition for future kings: 'Now, as for every son of mine who shall maintain this boundary, which My Majesty has made, he is my son, he is born of My Majesty, the likeness of a son who is the champion of his father, who maintains the boundary of him that begat him. Now, as for him who shall relax it, and shall not fight for it; he is not my son, he is not born to me.' No wonder Senusret was worshipped as a god in Nubia by later generations, or that his sons and grandsons maintained their inheritance. Although most of Senusret's military energies were directed against Nubia, there is also record of a campaign in Syria - but it seems to have been more one of retribution and to gain plunder than to extend the Egyptian frontiers in that direction.